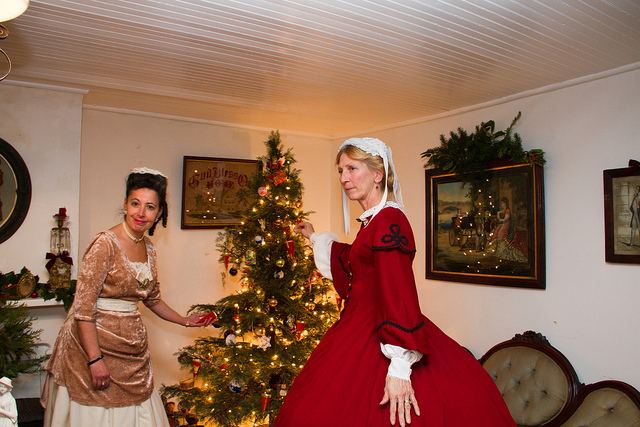 The Osborn Cannonball House Museum will be open Sunday, December 4th, 2011 from 2-4pm. This will be our holiday celebration. Please join us for hot mulled cider and party snacks. Also featured will be formal ball clothes from colonial fashion through the 1950’s. Costumed guides will conduct tours. There is also the SPBPA “Old Fashioned Holiday Celebration” to welcome Santa at the Alan Augustine Village Green. This will be the last open house of the Museum for 2011. It will be closed for the winter and reopen the first Sunday in March. The museum is located at 1840 East Front Street in Scotch Plains, NJ.